All of the dental professionals at CR Smiles – Meridan Dental Care maintain the highest levels of accreditation available and pursue ongoing education to stay abreast of the latest trends in dentistry. Together, Dr. Kooyman and his team create a community of people whose purpose is the greater good of the patients. 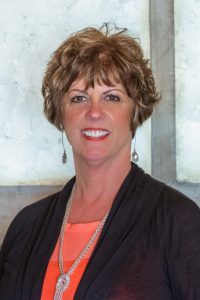 Hi, my name is Cheryl, I have over 20 years of hands on experience in all aspects of Dentisty, ranging from dental assisting to management, and I am the first person you’ll see when you walk through our doors. I have been with Dr Kooyman at CR Smiles – Meridian Dental Care since he opened his practice February of 2007, he is a great, talented, and gentle dentist. Meeting new smiles and seeing how helpful we can be to change those smiles is very rewarding to me. In my spare time my husband Steve and I enjoy traveling and one of my passions in cooking. I have two adult children and one grandson here in the Meridian area. 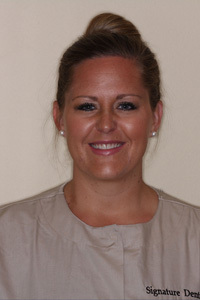 Jen has been a Hygienist for 8 years and joined our team in February 2016. She has a love for the dental field and enjoys being able to help patients of all ages.